Parents - Welcome to Miss Cuje's Science Class! I believe that we need to work as a team in order to best support our students. Therefore, I will communicate their academic and behavioral progress to you in a variety ways. 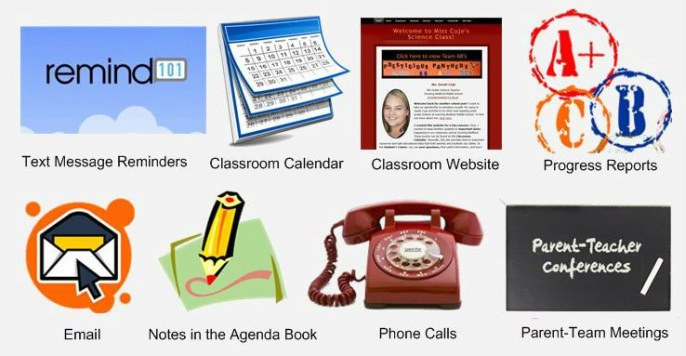 I will also make announcements, give you updates on important due dates, and provide background information on what we are learning in class using the various modes of communication listed below. Get these Science reminders as a text message to your phone! How can I stay involved in my child's learning? learned in each class. Let the Student Learning Map guide your discussion. 3. Look on the Home Access Center with your child regularly to see their grades. to turn in all missing work before the next progress report goes out. importance of turning in work on time! are going home, when your child has major assignments due, and more! activities on the calendar apply to Science only. success, check out this article! 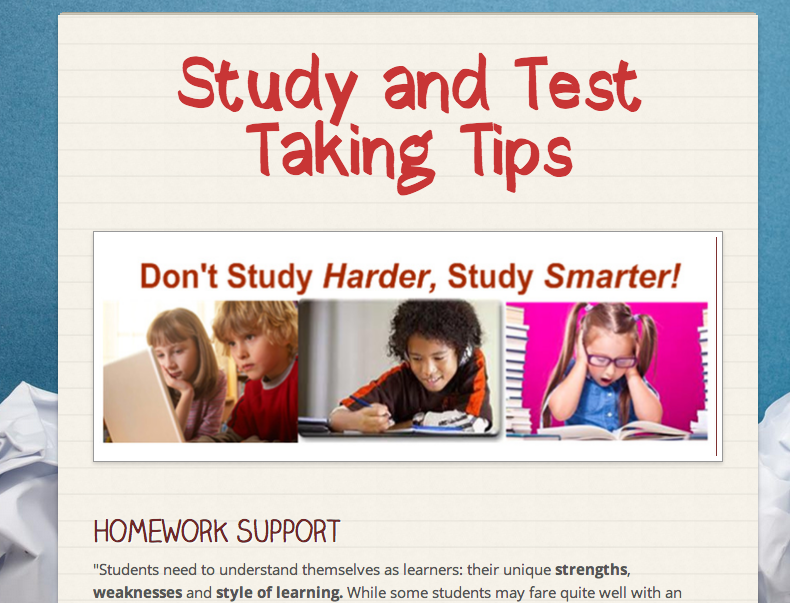 Click on the image above to view Study and Test Taking Tips! 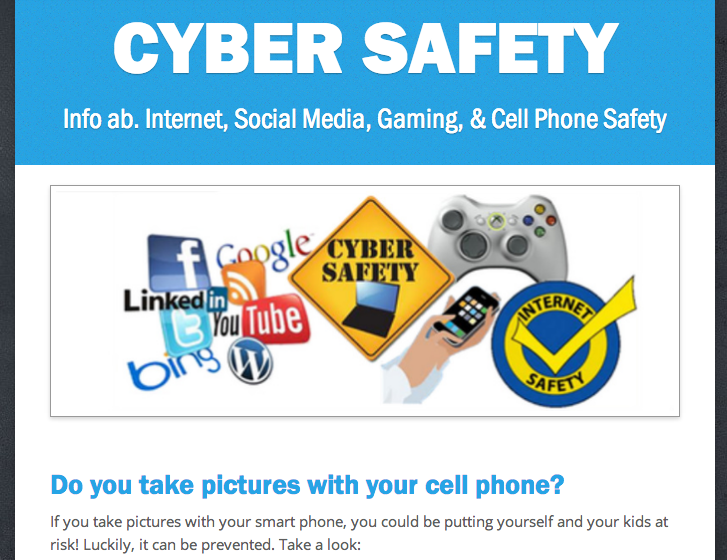 Click on the image above to view Internet, Social Media, Gaming, and Cell Phone Safety Tips and Information! There is a lot of talk about the Common Core Standards, but what are they? Common Core Standards are shaping what your child is learning in Math and English. Unlike in previous years, Common Core Standards are nationwide versus statewide. This movement will also cause a change in future standardized testing (only a few more years of DCAS before a switch to a to-be-annonounced nationwide test). Common Core Standards are more authentic and focus on real-world application of content taught in schools to better prepare students for careers after graduation (high school or college). Test questions will be more in depth and cause students to synthesize information and skills that they have learned. Mrs. Cylc and Mrs. Dennis know more about the standards since it effects their content areas but here is a parent guide that provides an overview of those curriculum. Click here to learn more information, scroll down and click on the link for 6th grade. Science standards will also be changing within the next few years. The Next Generation Science Standards will incorporate more literacy and problem based investigations. They are not finalized but click here for more information and to see what phase the standards are in the development process.